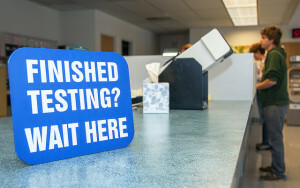 Test taking can do a number on your nerves and your DMV drive test is no exception. It is 20 minutes of your life that you have to prove to the examiner you have what it takes to be a safe driver. Don’t fret if you don’t pass the first time. You are not alone. Below is a collection of reasons why students fail a drive test. The order has no relevance. 1. Not scanning the intersection before entering. This is considered a dangerous maneuver. Always take a minute to perform a traffic check in both directions. 4 way intersections are relatively safe; however they can still pose potential problems. Make sure you yield the right of way to the vehicles that were there before you. If 4 vehicles arrive at the same time, the right of way goes to the vehicle to the right. Just because there is a stop sign, don’t assume the car will stop. Take a second to scan the intersection and proceed when clear and safe. Also, don’t assume that since you have the right of way, the other cars will give it to you. Imagine being the examiner during a test and the entire ride is rough and jerky. Not a good feeling especially if he/she just had breakfast or lunch. Gradually depress the brake and increase the pressure to stop the vehicle. We recommend that you slowly release the brake towards the end of your stop to eliminate the forward body momentum. When you are close to your stopping point, depress the brake to completely stop the vehicle. It’s good to be cautious but overly cautious can lead to you not passing your drive test. Yes, you can fail by driving too slow! Pay attention to the speed limit signs and go at or below the speed limit. Don’t perform unnecessary stops especially at a green light. At any time that the examiner has to intervene, you automatically fail. 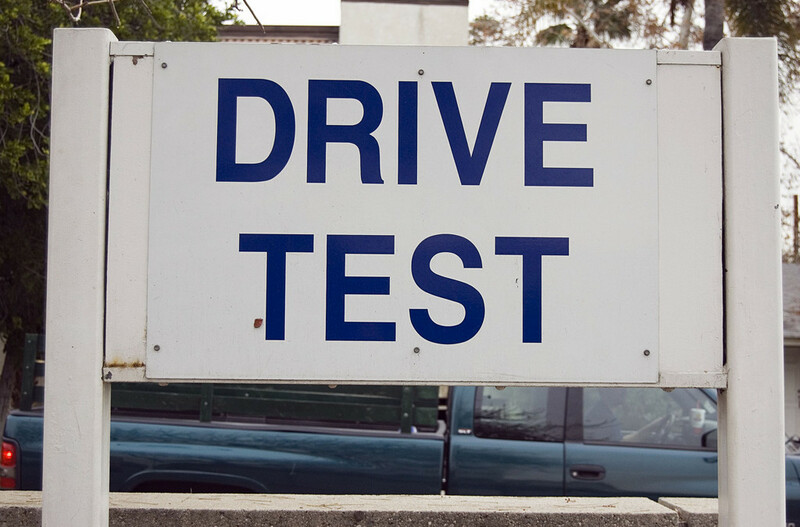 This can be the examiner taking the wheel and helping you steer away from a potential accident or applying the brake if you are using a driving instructor’s vehicle for your test. Don’t ask the examiner if you should stop at a red light or stop sign. This is also considered intervention. Moving over and crossing multiple lanes to get to a right or left turn is a violation. Always move one lane at a time. Position the vehicle in the lane and do not veer from lane to lane. Keep the vehicle steady, turn your signal light on, and check your mirrors before you change lanes. Hitting any object is an immediate fail. Pay close attention to parked cars and keep a safe distance away. Scan for nearby pedestrians and bicycles. When an examiner asks you to pull over to the curb, do not hit the curb. Keep at least 5-6 inches from the curb. The minute the examiner approaches you in the test area, your test begins. Always wear your seat belt and don’t forget to release the parking brake when you first drive off with the examiner. When you return from your test, park properly where the examiner instructs you to. Put the vehicle in park and set your parking brake. Do not remove your seat belt until you have turned off the car. Be confident and remember practice makes perfect!